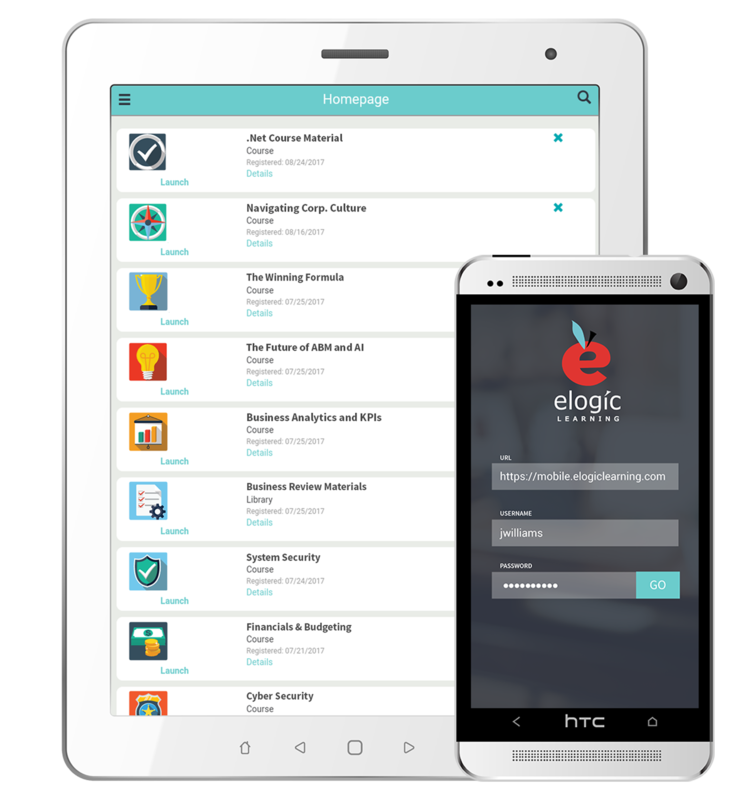 eLogic Learning has released a highly-anticipated new version of its mobile app this week. Although their award-winning eSSential LMS was already mobile-friendly, the new version of eSSential Mobile is now available for download onto Android phones and tablets. The app allows learners to access all the basic areas they need to progress with their learning. After users log in for the first time, the app will remember their username and password. A basic search screen allows users to search the catalog for courses to take; they can also register for classes within the app. Users can also update their profile, including personal data and profile picture. The homepage option allows users to glance at the courses they have in progress, including any upcoming due dates. The transcript area shows user course history, along with certificates and CEU credits. Users can set up notifications to receive alerts on their device about due dates, events, messages, or other course-related information. This first version of the newer app and is focused on the most utilized end user features, while a second version is tentatively planned for release in August and will have additional end user features. At that time, the app will also be released in the Apple store and support iOS phones and tablets. Support for the mobile app is still provided through eLogic’s world-class support team, and enhancements will be made as needed both for mobile app functionality as well as for Android system updates. For more information, visit the eSSential Mobile at https://elogiclearning.com/essential-lms/mobile-learning-app/.